We will have a Rally at the River on Saturday, October 27 from 12:00pm to 1:30pm. 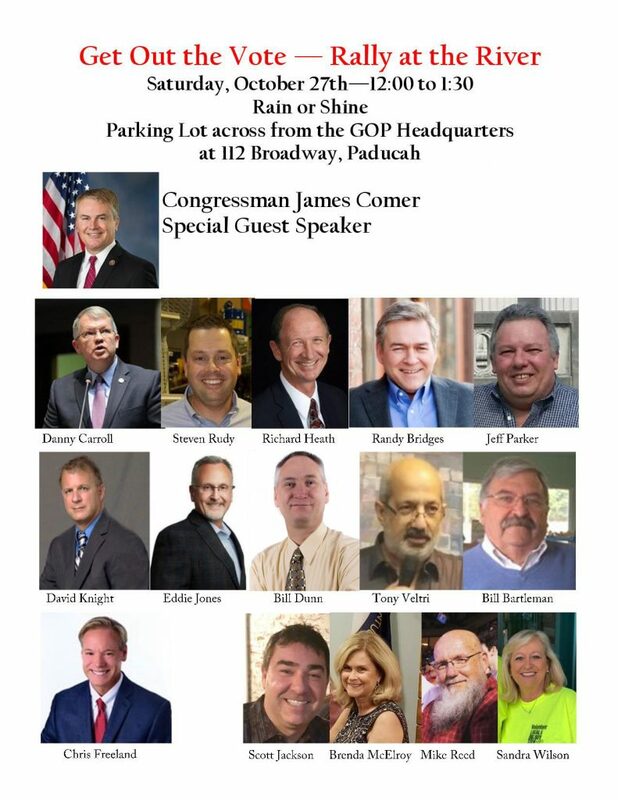 Guest speaker will be Congressman James Comer. Many of our local candidates will speak. We will provide a ho dog lunch starting at 12:00pm. Speaking is expected to begin around 12:25pm.